Oracle announced plans to significantly expand its cloud infrastructure footprint by opening 12 new data center regions worldwide. The company seeks to increase the breadth and depth of Oracle Cloud services available across Asia, Europe, and the Americas. The regional expansion will include locations in Asia including China, India, Japan, Saudi Arabia, Singapore, and South Korea; Europe including Amsterdam and Switzerland; and North America including two in Canada and two new US locations to support U.S. Department of Defense workloads. Oracle's portfolio includes the breadth of cloud services (SaaS, PaaS, and IaaS) and new services in security, Blockchain, and Artificial Intelligence. In addition, Oracle announced the industry’s first end-to-end financially backed cloud warranty for Infrastructure-as-a-Service (IaaS). Oracle said it is now the only cloud infrastructure provider offering guaranteed service levels across performance, manageability, and availability: the three key characteristics defining how enterprises measure cloud infrastructure providers. Under terms of the new performance SLA, Oracle Cloud Infrastructure guarantees it will deliver more than 90 percent of published performance every day in a given month. If it falls below that level for even as few as 44 minutes a month, customers may claim service credits according to Oracle’s terms of service. Orange is planning to launch a 5G millimeter wave trial in the second half of 2018 in Romania. Cisco and Samsung Electronics have been selected to participate. Orange is believed to be the first operator to conduct a multi-vendor 5G fixed wireless access (FWA) customer trial in Europe. Samsung will provide commercial 5G home routers (indoor and outdoor customer-premises equipment (CPE)), 5G Radio Access Units (RAN) comprised of a compact radio base station and virtualized RAN elements, as well as 5G radio frequency planning services. 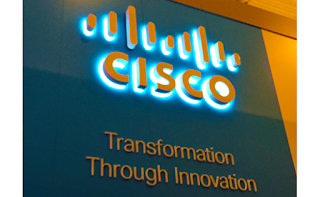 Cisco will supply its Cisco Ultra Gateway Platform, delivering a 5G virtual packet core on top of Cisco NFV Infrastructure. The mobile gateway will be deployed with Control and User Plane Separation (CUPS) for enhanced throughput and flexibility. Citrix Systems has acquired Cedexis, a start-up that offers a real-time, data-driven service for dynamically optimizing the flow of traffic across public clouds, data centers, CDNs, and ISPs. Financial terms were not disclosed. Cedexis, which is based in Portland, Oregon, delivers real-time insight into network performance. This enables intelligent traffic steering for applications in multi-cloud environments. United Airlines awarded a contract to ViaSat to bring its latest generation in-flight entertainment and connectivity (IFEC) system to more than 70 aircraft, including at least 58 of United's new Boeing 737MAX aircraft. Financial terms were not disclosed. The service will be delivered over Viasat's advanced high-capacity Ka-band satellite system, which will include the ViaSat-1, ViaSat-2 and ViaSat-3 satellite platforms. Viasat's IFEC system will also power United's Private Screening entertainment option, which offers customers access to hundreds of entertainment titles from its onboard library direct to their own devices. NEC has successfully tested a new digital beamforming transmission method that uses a massive-element active antenna base station and 28 GHz band spectrum. The demo is described as the simultaneous beamforming transmission (four multi-user MIMO) from a single massive-element active antenna system (AAS) to four terminals. NEC achieved a 3.1 Gbps cell throughput by applying a frequency bandwidth of 300 MHz. NEC said its massive-element AAS, supporting a 28 GHz band, adopts a fully digital control system, which improves the precision of beamforming. The fully digital control system enables simultaneous beamforming in multiple directions from a single massive-element AAS unit and efficiently implements high-speed and high-capacity communication without interfering with adjacent users through spatial multiplexing. The beamforming takes into account multipath, a non-direct wave signal, and moderately adjusts beam directions as needed. It also cancels out interference through multipath and reduces performance deterioration caused by inter-cell interference. NEC enables its advanced beamforming without digital/analog signal and frequency converters. Instead, the massive-element AAS adopts a fully digital control system with less power and more compact conversion functions. "In order to effectively implement sophisticated services that apply 5G features from 2020 onward, it is essential to utilize 28 GHz and other high frequency radio bands, which enable the securing of wide bandwidth, and the utilization of beamforming," said Katsumi Tanoue, Deputy General Manager, Wireless Access Solution Division, NEC Corporation. "Moving forward, NEC will continue its efforts in development and demonstration tests for a massive-element active antenna base station system that delivers high speed, high capacity and massive connectivity." VIAVI Solutions is supplying 5G test and measurement solutions to China Mobile, which aims to introduce 5G service in China by the end of 2019. VIAVI said it is a preferred vendor of China Mobile, supporting their specific technologies and aggressive roadmap with advanced test solutions. These include Slicing Packet Network (SPN) with FlexE interface, the technology the carrier is positioning for 5G transport. 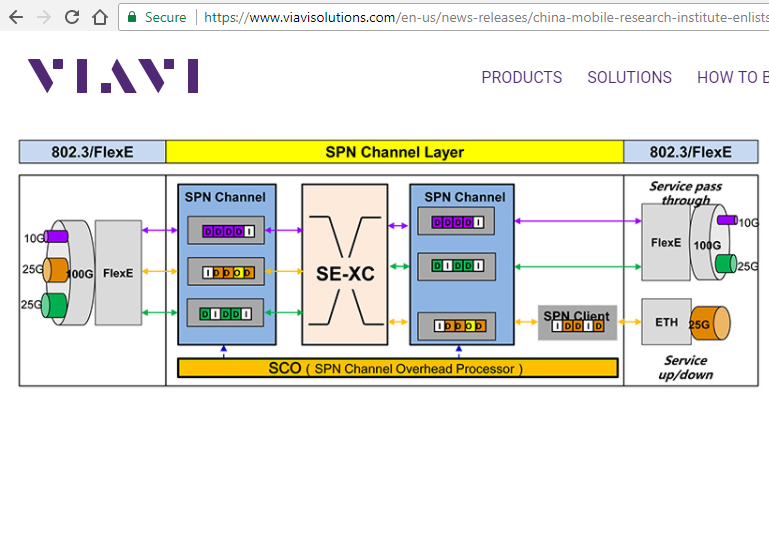 Viavi said CMCC has determined that Slicing Packet Network (SPN) is an optimal technology to support next-generation architecture, bandwidth, traffic model, network slicing, latency and time synchronization. Flexible Ethernet or FlexE is used in conjunction with SPN to create smaller Ethernet channels from a larger one, or vice versa, to guarantee quality of service (QoS) and isolation between slices at the transport layer. CMCC has requested that the ITU undertake standardization of SPN. 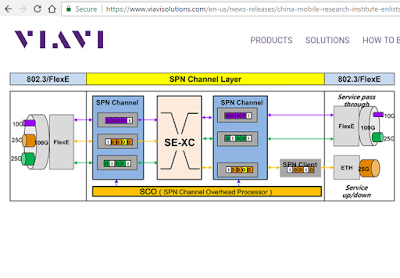 VIAVI is committing to support CMCC by delivering an SPN test platform, establishing a common foundation for network equipment manufacturers, chip developers and transceiver vendors to validate products based on this technology. 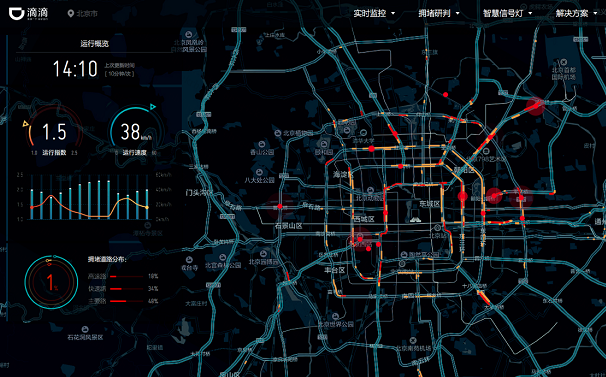 Preamble: The world’s largest ride-hailing service is integrating its “DiDi Smart Transportation Brain” with the traffic planning authority in Beijing and other major Chinese cities to optimize the routing of its vehicles and lessen urban congestion. 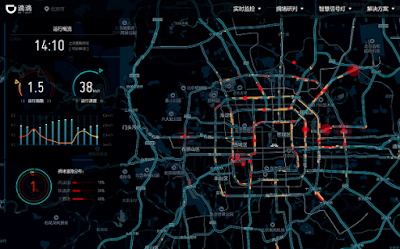 The AI system will pull data from traffic sensors and connected vehicles in a massive network application that will require the most advanced mobile and backhaul network. On an average day, DiDi Chuxing, the ride-hailing service that acquired Uber China in August 2016, is enabling up to 25 million rides. Its app has been downloaded more than 450 million times. By the company’s reckoning, this makes it the world’s leading mobile transportation platform. There are over 21 million drivers in China signed up for DiDi and by some estimates, 80% of taxi fares in the big cities are now booked via its app. DiDi has moved well beyond basic car rides. Its app now lets the user pick from a range of transportation options: Taxi, Express, Premier, Luxe, Hitch, Bus, Minibus, Designated Driving, Car Rental, Enterprise Solutions and even Bike-Sharing though the ubiquitous bluegogo brand. Hiring a bike on a short-term basis no longer requires a deposit –just the DiDi app and a valid user account. DiDi is now a simple and cashless way of travelling through China’s municipalities. Business is booming too for Uber. However, Uber and to some extent Lyft often finds itself in contentious relationships with the communities it serves. In the UK, Uber is beset by numerous legal and social difficulties. In September, Transport for London, stripped Uber of its license, accusing the company of being “unfit to operate.” Last week, a protest against Uber by London black cab drivers caused gridlock across the city. Other municipalities are taking action as well. The City of York is the third British municipality that has acted to strip Uber of its license. In the EU, a recent ruling from the European court of justice (ECJ) has determined that Uber is a taxi operator and not an information service, requiring it to accept stricter regulation and licensing terms. Even in its home market, Uber faces a slew of lawsuits from investors, ex-employees, customers and cities for a list of management missteps, improprieties, questionable business practices, data breaches and possibly criminal behaviour. In contrast, DiDi Chuxing enjoys the implied endorsement of the Chinese government and the investment of all three of China’s Internet giants – Alibaba, Baidu, and Tencent – as well as Apple and dozens of other high-profile investors. Better yet, there is a regulatory framework for the company to grow. In July 2016, China became the first country to officially legalize ridesharing. This came about when seven of China's ministries, including the Ministry of Transport, jointly published "Preliminary Rules on the Management of Online Car-Booking". DiDi Chuxing, which is headquartered in Beijing, was founded in 2012 by Cheng Wei, a former employee of Alibaba. The company’s inception came approximately three years after Garrett Camp and Travis Kalanick established Uber, but in many ways, its brief life as a business has been just as eventful and even more meteoric. From the outset, there were local rivals backed by various tech giants and a series of price wars. There were also protests by established taxi companies and their drivers. To gain size and stature, a merger with the biggest rival was necessary, followed by the acquisition of Uber China in August 2016, a deal that some called a forced marriage and others a marriage of convenience. (Uber retained a 5.89% interest in DiDi Chuxing, while DiDi Chuxing also got a minority interest in Uber Global). The deal effectively consolidated the market in China, leaving this one big player and a much simpler regulatory job for government authorities. • Completed 7.43 billion rides in 2017. Launched accessible vehicles services with UNDP for disadvantaged people. • Established a partnership with Stanford Artificial Intelligence Laboratory. • Started new joint venture projects to build EV charging networks. • DiDi Labs opens new campus in Mountain View. • Announced a strategic partnership with Taxify, a rideshare leader in Europe and Africa. • Announced a strategic partnership with Careem, the leading ride-hailing and internet platform in the Middle East and North Africa. • Released DiDi's first open source software, VirtualAPK, a flexible, lightweight and powerful plug-in framework for Android. • Closed over USD 5.5 billion financing round to support global strategy and technology investments. • Signed new Smart Transportation partnership with Shenzhen, after Tianjin, Nanjing and Shenyang. Q4 net income (NonGAAP) was $455,000or $0.01 per share. Fourth quarter GAAP gross margin of 51.6% compared to 51.5% in the fourth quarter of fiscal year 2016. “Overall, 2017 was a very successful year as we posted 37% year-over-year revenue growth. We are pleased to report that our key cable MSO customer has initiated a nationwide rollout of a gateway solution using our industry leading Wave 3 10G technology. We enter 2018 excited about the opportunities in front of us and believe we are well positioned to extend our Wave 2 market opportunities and garner incremental Wave 3 10G designs,” remarked Dr. Sam Heidari, Chairman and Chief Executive Officer.